You’ve written your first book and it’s all set to be released in a few months. What can you do using social media now, before your official book launch date, to be sure book sales are boosted on release day? First create a plan. Write down your goals. How many followers would you like on each platform? How many books do you hope to sell on launch day? Create a spreadsheet to track what you do, when each task needs to be done by, and a budget for advertising. It’s important to start building your social media platforms several months in advance – particularly if you don’t have a large following yet. You want to build your networks in advance so you have a large fan base ready to buy your book when it’s released. This will only happen if you start sharing relevant and interesting information with your audience that piques their interest in your message. In this way they will come to know you, like you, and trust you. Then they will be willing to share your message and buy your book. Remember, it’s about brand you, not the book. You may write more books and if your audience has come to know, like, and trust you, they will buy whatever you write next. An important pre-launch strategy is to build an email list and send out newsletters. When the time is right, you’ll be able to ask your audience to help you spread your message. Provide specific action items your subscribers can take to help support your book launch – how to connect with you on each social media platform, where to pre-order your book, where to write a book review, etc. Don’t just follow a ton of people on social media hoping a lot will follow back. Take the time to build relationships. That means engaging, asking questions, responding to comments, sharing relevant tweets by others. Share visuals with tips from your book. These are easy to create using Canva.com. They have tons of templates already sized for each social media platform. Be sure to update all your social media headers with your book cover image and it’s release date. Leading up to your launch, do some Facebook live video interviews with other industry experts – perhaps those who have provided endorsements for your book. This is a fun way to engage your audience and share your message with your interviewee’s audience as well. There is a lot involved in a book launch and these are just a few tips. 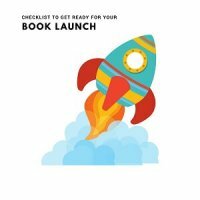 For more tips, download this checklist for your book launch. Sue is a book launch specialist and has years of experience in social media book marketing, promotion and consultation for nonfiction authors. Since 2006 she has helped dozens of authors create and maintain their social media presence. She writes about using social media to help promote your book at her blog. You can connect with Sue on Twitter and Facebook. She’s also a published nonfiction author since 2009 and understands what it takes to market and promote a nonfiction book. She is a member of the Nonfiction Authors Association and is the Association’s Special Projects Director & Social Media Manager. Sue will be presenting during our weekly teleseminar series, February 27, 2019, on the topic: Social Media Marketing Strategies for Your Book Launch. 2 Comments on "Boost Book Sales with Pre-Launch Social Media Strategies by Sue Canfield"
Very helpful information was provided. Would try some of the suggestions. Thanks Rajaratnam. Let us know what you try and how it goes.